Keiser’s Plumbing and Heating, LLC has been serving Central Pennsylvania for over 40 years and continues to provide quality work at a reasonable price. We’re proud to be a 3rd generation, family-owned business. We’ll gladly come to your home, small business, or farm and offer you a free estimate. We’ll also walk you through the various options, timelines and budgets needed to complete your project. 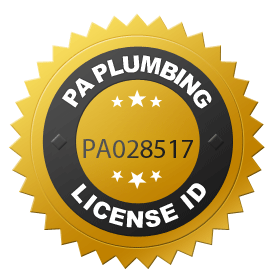 We are licensed and fully-insured in the state of Pennsylvania. We demand expertise from our employees and set the standard for what customer service should be. In fact, we prefer small jobs! Don’t hesitate to call us about even small items such as installing a new toilet or fixture or unclogging a drain. We specialize and excel in residential and light commercial plumbing projects. We look forward to serving you and will return your call within 1-2 business days.